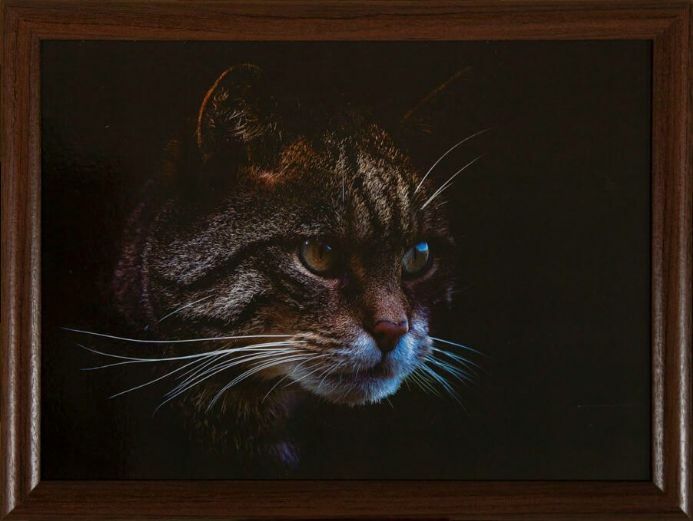 Stalking Cat Lap Tray. Enjoy your TV dinner with this quality Lap Tray. Complete with wooden surround and bean filled bag. This quality Stalking Cat Lap Tray comes complete with a wooden surround and a bean filled bag.